Create Tasks and Subtasks from a Template. Or edit an existing Task template to include both Tasks and Subtasks. 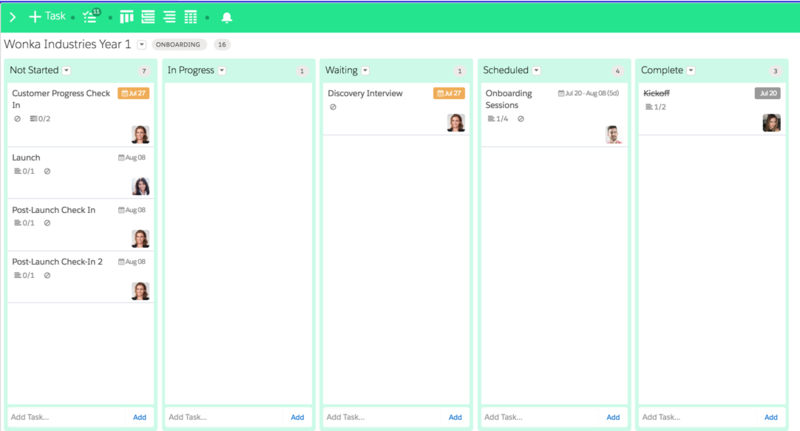 You can also create separate task templates containing Subtasks only, then import them as needed into any Task on the Board. When a Task has one or more Subtasks, it becomes a Parent Task. To create or modify Task templates and include Subtasks, follow the instructions below to add an extra column on the Task Template source file called Parent Reference. The Parent Reference identifies who the Parent Task is for each corresponding Subtask when creating Tasks from a template. Download and edit one of our Sample Templates to save some time when creating new templates. Open a Task template source file in a spreadsheet editor (Microsoft Excel, Google Sheets etc). Insert a new column to the spreadsheet called Parent Reference. Edit existing cell values if needed and insert new rows for other tasks or subtasks you wish to add to the template. Now map the Subtasks to its corresponding Parent Tasks. Copy the Reference value of each Parent Task then paste onto the Parent Reference cells of its Subtasks. A Task may or may not have a Subtask, but all Subtasks must have a corresponding Parent Reference. 5. Adjust the dependencies as needed. Subtasks can be dependent on another subtask or parent task. Parent Tasks can be dependent on other tasks or subtasks as well. 6. Download as CSV (if using Google Sheets) or Save as .CSV UTF-8 (if using Excel). If a Task is a Parent, its Start Date and Duration will be calculated automatically based on the Duration and Start Date of its Subtasks. Even if you set the duration and Start Date of a Parent Task on the template, its subtasks will override it once the Board is created. Navigate to Taskfeed Templates and create a new template. Or select an existing template to replace. Upload and validate the template file. Toggle Subtasks On/Off on the Board.